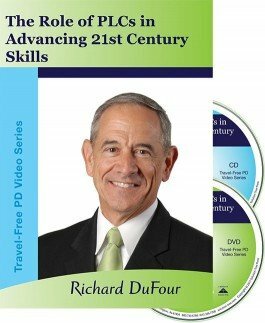 Dr. DuFour explores the fundamental characteristics of professional learning communities and demonstrates the link between professional learning communities and 21st century skills. Discover how to develop a PLC culture by focusing on a commitment to effectively change behavior and to collaboratively develop strategies to teach 21st century skills. This package includes a DVD with the presenter's session, a CD with the presenter's slide presentation, an excerpt from the book 21st Century Skills, and more.